Anxiety is a mental illness that disrupts daily life causing feelings of impending doom along with unwanted thoughts and unpleasant physical symptoms. Some people are more predisposed to anxiety than others. Did you know that there are “external” factors/habits in our daily lives that can increase anxiety? 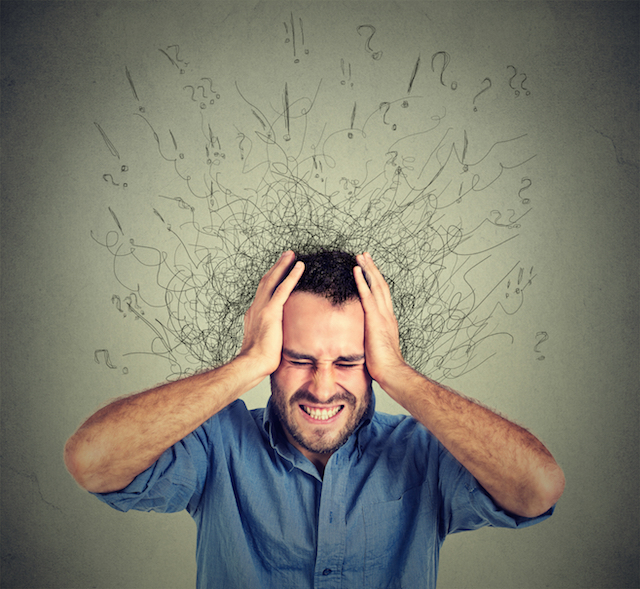 Dr. Sanam Hafeez an NYC based neuropsychologist and Teaching Faculty Member at the prestigious Columbia University Teacher’s College shares surprising things that could be causing anxiety. You may see several on this list that are causing jitters in your own life. Often, people who smoke tend to rely on cigarettes to ease their anxiety. However, nicotine found in cigarettes affects your brain, including your mood. But nicotine also ramps up blood pressure and heart rate, two physical symptoms that can mirror anxiety. In addition, the carbon monoxide in cigarette smoke also may cause breathing problems that the body responds to as if it's suffocating, increasing the likelihood of panic attacks. The relief a smoker feels is temporary and will likely return and cause an even greater risk of anxiety symptoms Studies have found that those who quit smoking for more than two weeks had lower anxiety levels than when they were smoking regularly. The jitters shake, and irregular heart rhythm one might get after a dose of caffeine can feel an awful lot like a panic attack, especially if you are already susceptible. That's because caffeine stimulates your "fight or flight" response, tricking the body into feeling like a lion is chasing it even when there is no danger present. If caffeine makes you anxious switch to decaf coffee and do not drink energy drinks which are loaded with caffeine. Be wary of PMS medications like Midol, which contain a hefty dose of caffeine as an active ingredient. Pay attention to medications that contain caffeine such as Anacin, Empirin, Excedrin, No-Doz, and cough medicines. Decongestants, such as phenylephrine, including Sudafed PE can bring on symptoms of anxiety or panic. Some ADHD medications also list anxiety or nervousness as a possible side effect. These medications include Adderall, Ritalin, and Straterra to name a few. Some birth control pills can contribute to feelings of emotional disturbance including depression and anxiety. Asthma medications can cause symptoms of anxiety for some patients. The National Institute of Health reports that the use of bronchodilators can lead to feelings of anxiety and nervousness. If you are prone to anxiety, make your doctor aware of this to be sure that both OTC meds and prescriptions will not exacerbate your symptoms. Hormones are the messengers to the brain and when your body is under stress due to internal factors such as the menstrual cycle, this can lead to mood changes and irritability. Adrenal issues — imbalances in the body's stress hormones adrenaline and cortisol, and the precursor hormone DHEA — can cause a variety of symptoms that seem to be mental health-related, including depression, anxiety, and insomnia. Cortisol aka “the stress hormone” can have a powerful effect on your brain, and anything that increases cortisol production or decreases cortisol reduction (such as a lack of exercise) can cause anxiety. Other hormones such as estrogen, testosterone, and thyroid can all affect anxiety. If you feel hormones may be the culprits of your anxiety, consult your internist who can do a full blood workup. Skipping meals can affect your brain, which can lead to a drop in serotonin levels creating symptoms of anxiety. This can cause, mood swings, stress, fatigue, and unsteady blood sugar levels. As a result, one might experience shakiness, dizziness, confusion, and difficulty speaking. Prevent these blood sugar swings by eating frequent small meals and keeping snacks on hand. 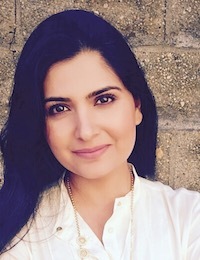 Dr. Sanam Hafeez PsyD is an NYC based licensed clinical psychologist, teaching faculty member at the prestigious Columbia University Teacher’s College and the founder and Clinical Director of Comprehensive Consultation Psychological Services, P.C. a neuropsychological, developmental and educational center in Manhattan and Queens.